The score for 'Pyaasa' [review]  seems to be widely regarded as one of Sachin Dev Burman's finest. And while I admittedly am not his biggest fan, and my knowledge of his work is somewhat limited, I'm not one to disagree. The songs on this EP are quite lovely. Slow-paced, low key and atmospheric; they have a pleasantly soothing effect on me, 'Jane Woh Kaise Log The' in particular. 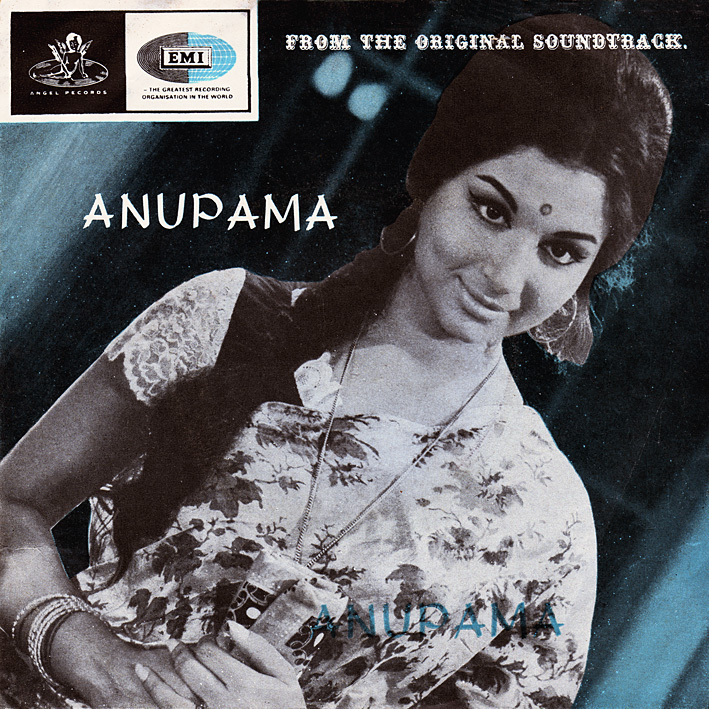 Despite being made a full decade later (one obviously containing a lot of changes in Bollywood film music) I found 'Anupama' to be a suitable pairing with the above. For one, Hemant Kumar is involved in both, but mostly I find they're not entirely dissimilar in mood. Asha Bhosle's contributions are more upbeat than anything on 'Pyaasa', yet most of this EP sounds as if it could have been made during the so-called Golden Age. 'Dhire Dhire Machal' is my favourite at the moment. Lots of gratitude for all the pristine works on this site. But, on the Pyaasa EP, please, if you have it post the LP version. Here's why, and you as a fellow devotee are gonna love this: it contains *R D* Burman's first music! Yes: "Sar Jo Tera Chakraye". Please, Please, Please! I have the Pyaasa CD, DVD and other rips, but they are not as good as your LP acquisitions. Wishing U a very very Happy New Year. Thanks for these two rare albums.Brilliant EP rips.Vinyls are always ahead of CDs. Expecting more RD Burman & SD Burman numbers in coming days. I don't have the LP version of Pyaasa I'm afraid. No other SD Burman soundtracks either planned (don't have any more) but there is a Pancham one coming up in the not too distant future. which in my opinion even better. Kuch Dil Na Suna, Kuchh Bhi Nahin"
I am sure you can find it in youtube. There is also unreleased song by Geeta Dutt. All the Lyrics were written by Sahir. and the story is based on his life and poetry recited is his. One of the best Urdu poets in Hindi Films. Hi PC, check out Khamoshi as well by Hemant Kumar. Thats another great soundtrack. Anupama and Khamoshi come on one lp if you can find it. 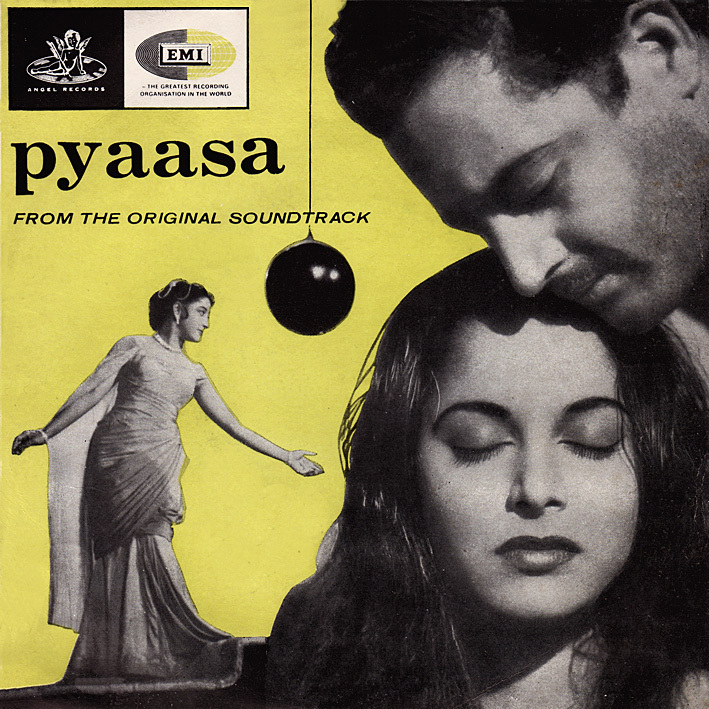 I HAVE LP VERSION OF PYAASA AND CD I BELIEVE BUT CAN SEND U LP OF PYAASA MAYBE TO RIP BUT MAYBE WANT TO SAVE IT TO USE ON MY MUSIC - HEEMS/DAS RACIST. LOVE YOUR SITE PC! I just came across your site & it's simply amazing the LPs you have shared here. Since, I am really late to the party, it would be highly appreciated if you could re-up this Pyaasa + Anupama LP. As explained in the FAQs, expired links won't be updated, sorry.